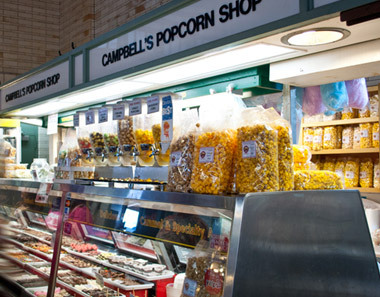 A Campbell’s gourmet Popcorn Bar is a great option for weddings & events! 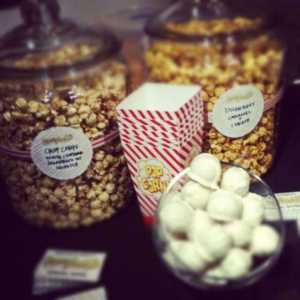 Order large, 5-gallon “Party Bags” of our delicious, award-winning popcorn to display at your next event! 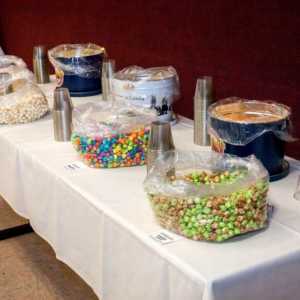 These 80-cup bags can be special ordered in any one of our award winning gourmet popcorn flavors, or you can order several flavors to let your guests “build” their own unique popcorn creations by having multiple options for them to pick from; the customization options are endless! 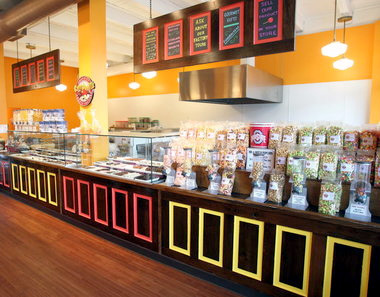 For local orders, we have decorative glass jars & ladles available to rent that make a decorative, unique display for your Popcorn Bar. And, newly introduced, we’re offering fully disposable “Pop-Up” Popcorn Bar Display Kits, which allow you to have a full Popcorn Bar experience without the hassle of jar-rentals; see below for details! 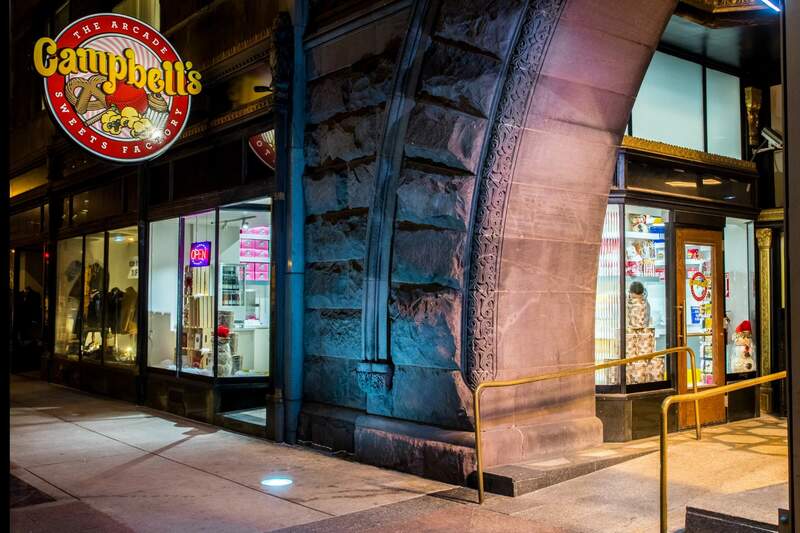 Whether you’re hosting a birthday party, bridal shower, wedding, baby shower, corporate event, wedding, or any other event, a Popcorn Bar from Campbell’s Sweets makes the perfect option to really “wow” your guests at your event! 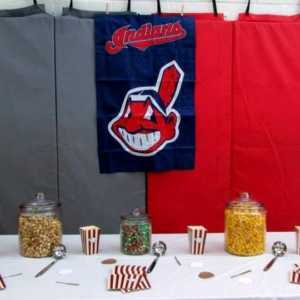 New: “Pop-Up” Popcorn Bar Display Kits! 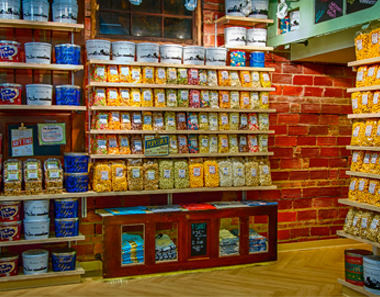 We’re happy to introduce a new addition to our Popcorn Bar setups: “Pop-Up” Popcorn Bar display kits! 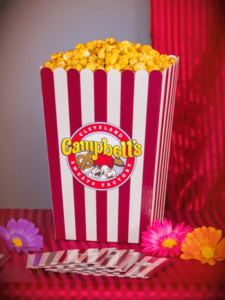 Disposable, large (9″x9″x13″) display boxes—available in our classic red-striped “Campbell’s” look, or in a fully customize-able blank-white—along with food-ready bag liners and plastic-scoops for serving; Popcorn Bars have never been easier to feature at events! 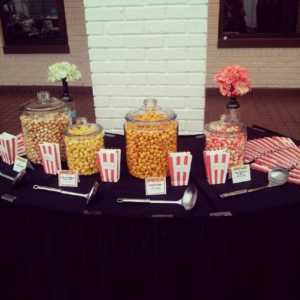 Avoid the hassle and liability of jar-rentals with these great options for featuring popcorn at your next event! Plus, these corrugated display boxes are fully ship-able and easy to transport; we’re working at even making them available to order right online! Check back soon for that option! 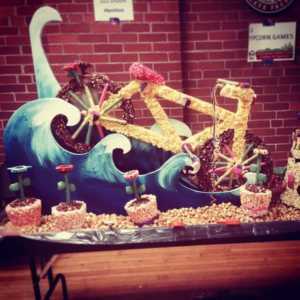 Check out these fun arrangements below from some of our satisfied-customers’ Popcorn Bar displays! 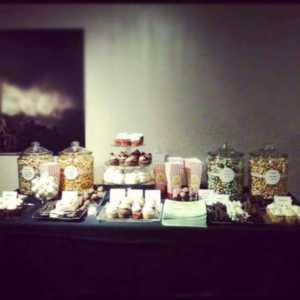 Want more information on how to order a Popcorn Bar? Let us know!